Michael Smirnoff Ц what is he? Michael Smirnoff was born on the 24-th of February 1956 in Saint-Petersburg, he graduated from the Faculty of Law at the Saint-Petersburg State University in 1979, he worked as a legal adviser at enterprises of the national economy since 1978 till 1993, now he is a lawyer of the United Collegium of Lawyers of Saint-Petersburg since the 22-nd of November 1993. Michael Smirnoff is included into the register of lawyers of Saint-Petersburg, the registration number is No 78/3242. 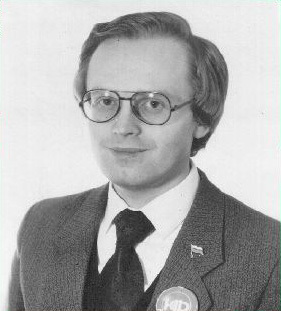 As a lawyer of the First advocate office Ц the leading office of the Collegium of Lawyers, Michael Smirnoff permanently aspires to increase his qualification: the lawyer Smirnoff studied in 1981 at the Institute of improvement of professional skills of the executives and experts of the State Supply Committee of USSR in Moscow, then in 1994 he studied at the Institute of improvement of professional skills of the State University in Saint-Petersburg and then in 1995 he studied at the Saint-Petersburg Financial and Economic College, he got one more speciality of an accountant and economist.